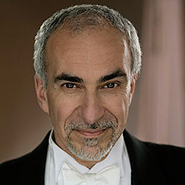 Metropolitan Opera Conductor and Glimmerglass Festival Music Director, Joseph Colaneri, will coach a Master Class for the Encore Young Artists of Ars Musica Chorale. Enjoy an intimate performance of beautiful opera arias sung by this season's soloists. The Master Class is open for attendance by all, and we encourage avocational choir members, aspiring student singers, and music lovers to attend and enjoy a peek behind the curtain at some of NY and NJ’s most talented musicians. Light refreshments will be served. *Ars Musica Members Only- First Masterclass attended during 2018-2019 Season is FREE! 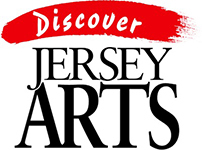 Ars Musica's concert season is made possible in part by a grant administered by the Bergen County Division of Cultural & Historic Affairs from funds granted by the New Jersey State Council on the Arts. Your contributions as an Individual, Foundation or Corporation are vital for Ars Musica to support our fostering the cultural life of our community by performing choral masterpieces throughout the greater tristate area. Donate now and help support our work. Donations are tax-deductible to the extent permitted by law.